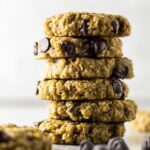 Banana Breakfast Cookies – Deliciously soft, chewy, and healthy banana cookies that are loaded with oats, peanut butter, and chocolate chips. Perfect for a sweet breakfast or a quick snack! I bring you a cookie recipe that is not only incredibly delicious, but also good enough to eat for breakfast. 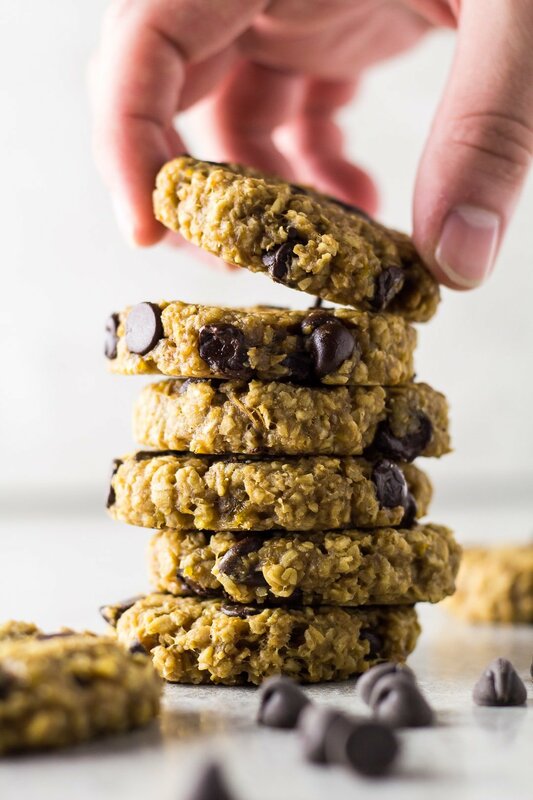 These Banana Breakfast Cookies are super soft and chewy, they’re big on flavour (thanks to the banana and peanut butter), and loaded with chocolate chips. 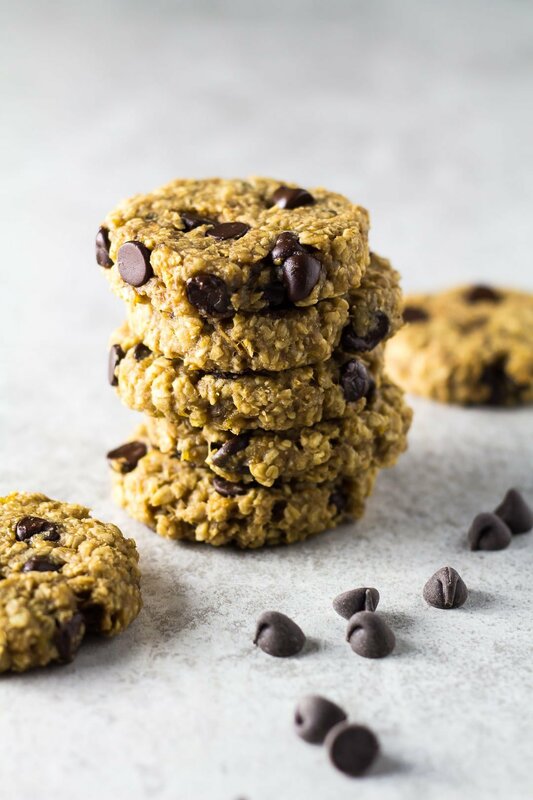 Made from only 6 simple ingredients, these cookies are also vegan – if you use vegan chocolate chips. They take 10 minutes to throw together, and 15 minutes in the oven. 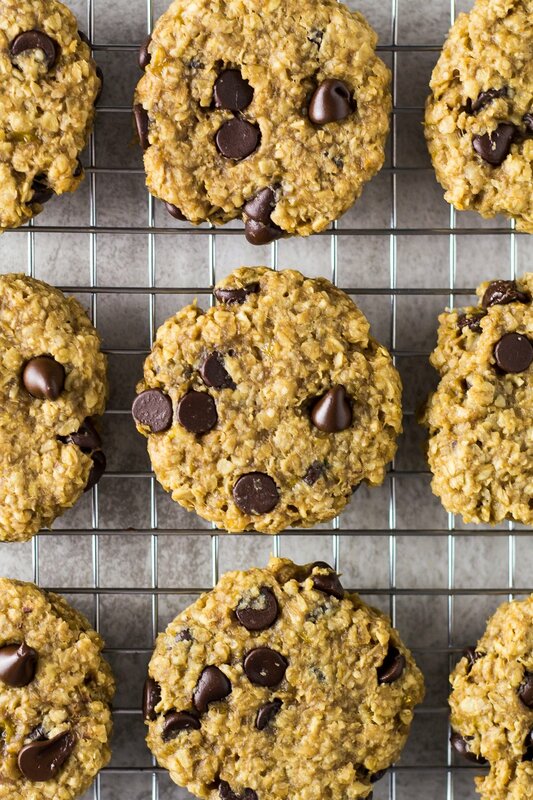 If you love bananas and peanut butter, you need to go make these cookies right now! Bananas: You’ll need 2 large ripe bananas. Ground cinnamon: Optional, but I love the flavour it adds! 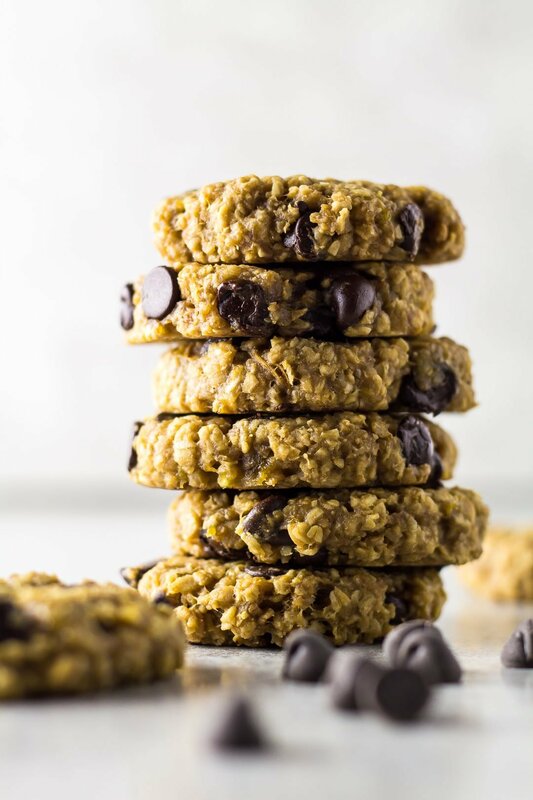 To make these banana oatmeal cookies, simply start by grabbing a large mixing bowl, and mix together the mashed bananas, peanut butter, vanilla, oats, and cinnamon until fully combined. Fold in the chocolate chips. 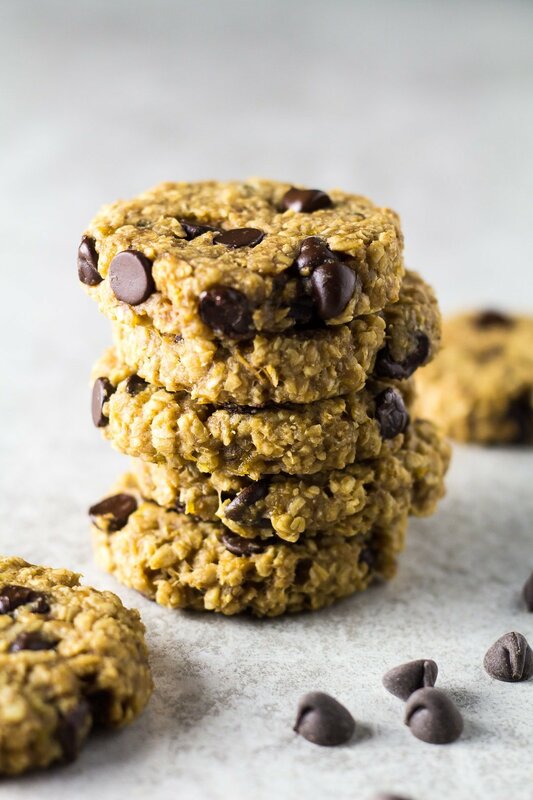 NOTE: You can add up to 2 teaspoons of honey, maple syrup, or agave to the mixture for extra sweetness if desired, but I find these cookies are already perfectly sweet for my tastes (and I have a big sweet tooth!). Roll the mixture into 1.5oz balls and place them onto a baking tray lined with parchment paper or a silicone mat. The mixture will be quite sticky, but should be easy to manage. Flatten the dough balls, and shape into circles. Bake for 15 minutes or until firm to the touch and lightly golden on top. Allow to cool for 5 minutes on the baking tray before transferring them to a wire rack to cool completely. TIP: To enjoy these cookies like they’ve just come out of the oven, simply place one in the microwave for a few seconds. 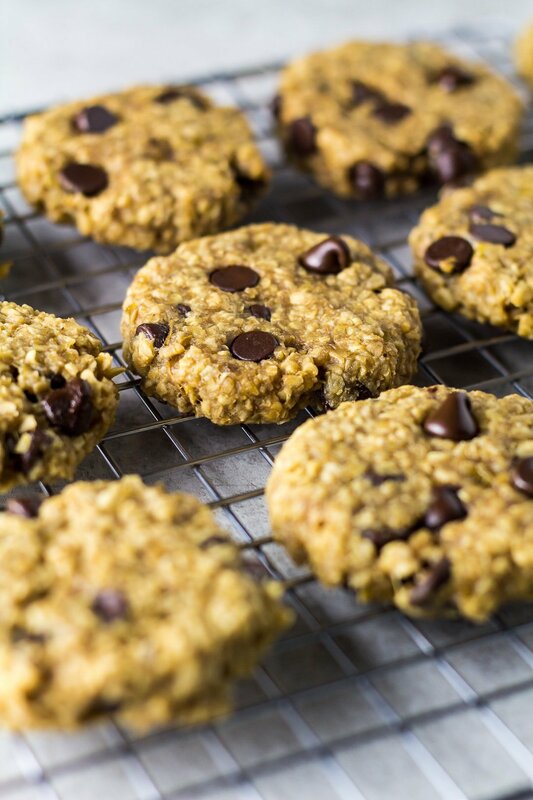 Warm, chewy cookie perfection! healthy enough for breakfast or a snack! How long will these banana cookies last? These cookies can be stored in an airtight container at room temperature or in the fridge for up to 1 week. Can I freeze these cookies? Yes! They also freeze well for up to 3 months. Be sure to thaw them overnight in the fridge, and warm up in the microwave if desired. Try these healthy recipes next! Love this recipe! I followed it even the cinnamon and it tastes great!